You can describe the Al Pentolino with the phrase: There, where quietness gives time a new Quality! 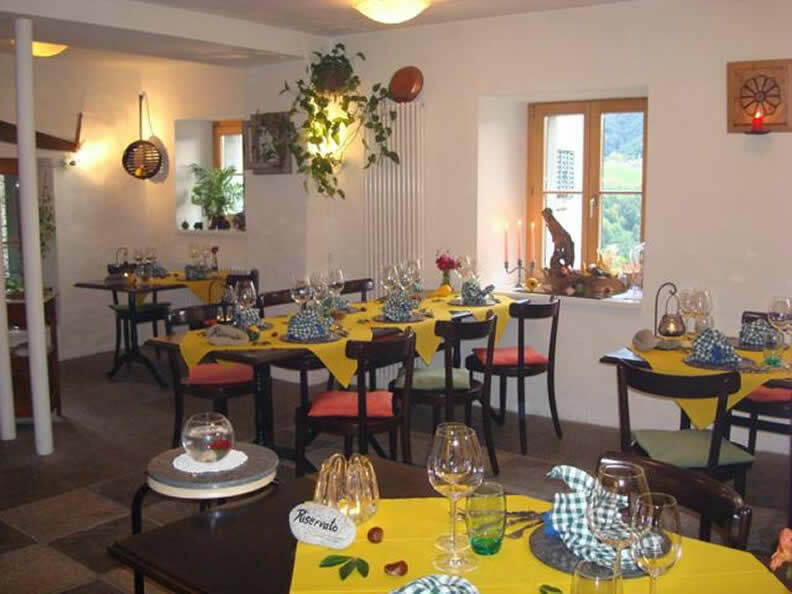 The restaurant is in a picturesque small place surrounded by mountains. There live only 20 people in this typically Ticino village. 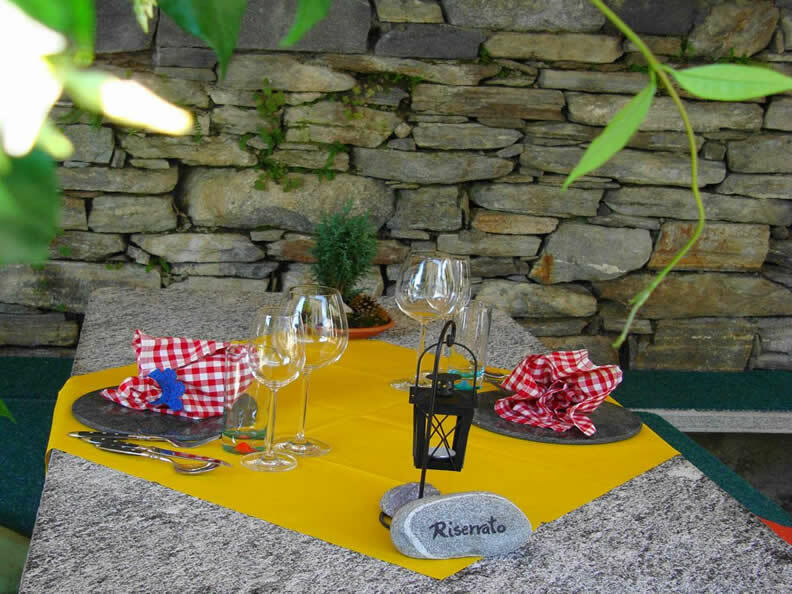 Only regional products are used in the kitchen, prepared with the "special touch": rice from Ascona, farina bona from the Valley of Onsernone, meat from the area, vegetables and herbs grown in the own garden. 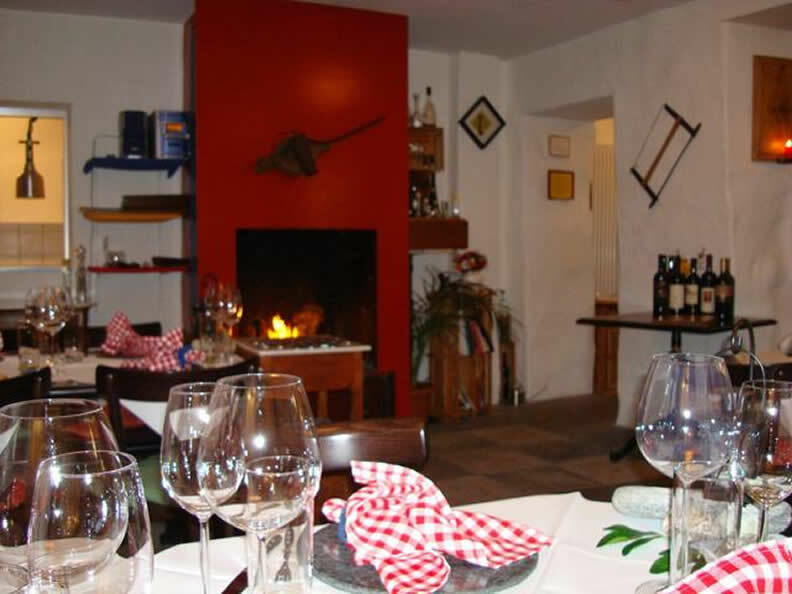 Make yourself comfortable in the tiny, romantic restaurant with the big fireplace or outside on the beautiful terrasse on one of the typical seats and tables made of stone. Good food has to be accompanied by good wine. 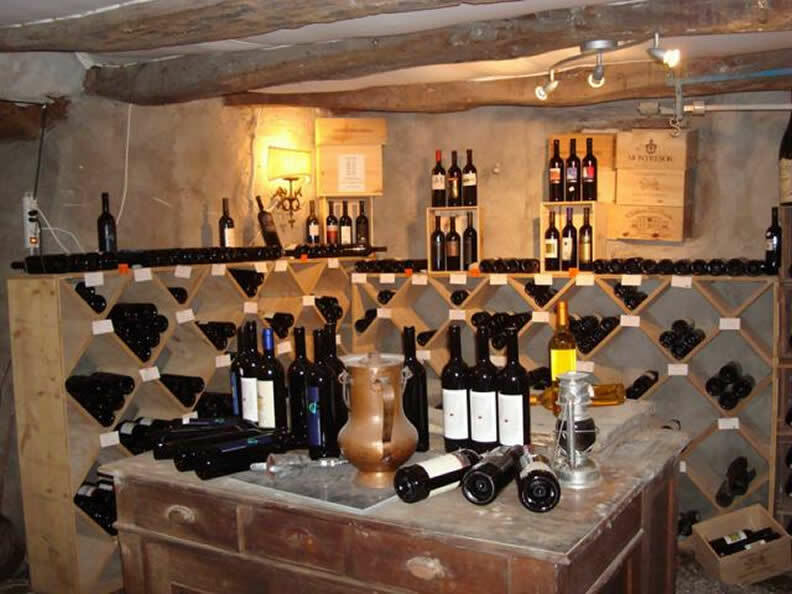 Al Pentolino offers a rich selection of Wines, also a lot of local ones. Short: You meet 200% Ticino here at Verdasio. 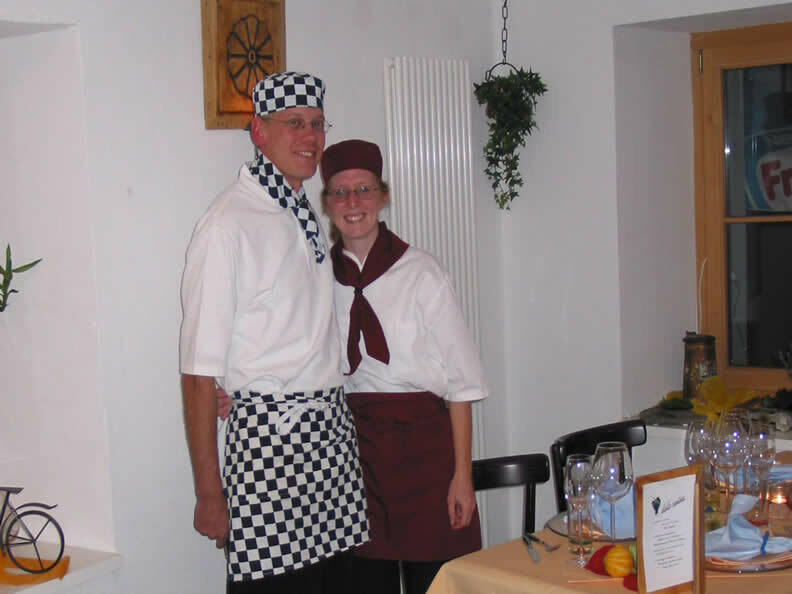 The Doris & Daniel Blum’s restaurant is open from Easter to 1 November. Opening hours: 11:30 to 14:30 and 17:30 to 22:30; sunday 11:30 to 17:00. Hot meals until 21:00. Reservation recommended, not via e-mail.